SACRAMENTO, Calif. (AP) -- Pacific Gas & Electric Co. said this week it will file for bankruptcy, raising concern that rates for electricity and gas will rise and victims of California wildfires who are suing the nation's largest utility won't get all the money they may be owed. PG&E says it can't afford at least $30 billion in expected costs related to California's deadly 2017 and 2018 wildfires. Filing for Chapter 11 bankruptcy will allow the company to hold off creditors and keep providing electricity and natural gas service while it gets its finances in order. 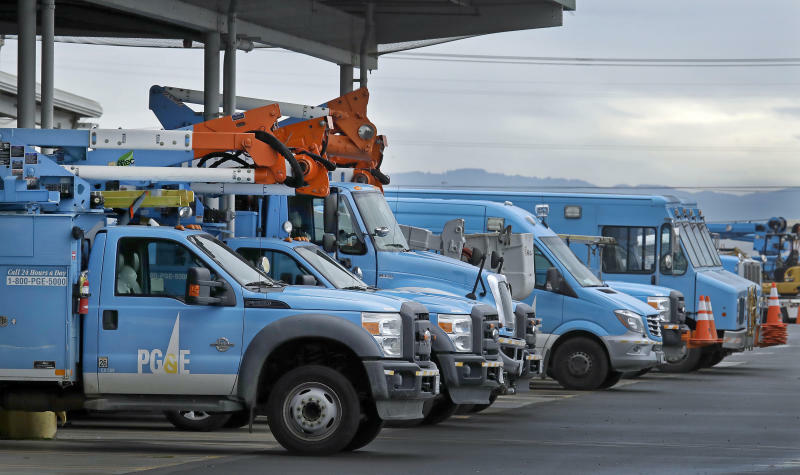 Richard Kelly, chairman of PG&E's board of directors, said the reorganization allowed under Chapter 11 is "the only viable option to address the company's responsibilities to its stakeholders." While the filing wouldn't make the lawsuits against PG&E disappear, it would consolidate them into a single proceeding before a bankruptcy judge, not a jury. That could buy the company time and prevent excessive jury verdicts. Bankruptcy also makes it easier for a company to take out new loans and sell off assets. PG&E, which also went through bankruptcy early 20 years ago, has been considering splitting off its gas division. The utility's Monday announcement kicks off a 15-day period before the official filing, which is expected on or before Jan. 29. California Gov. Gavin Newsom said he wants to keep the bankruptcy from going through, but that it might not be possible. He's put his chief of staff in charge of looking for solutions, with help from financial and bankruptcy experts. Lawmakers may not be so eager to prevent the bankruptcy, but they have other questions to answer, such as how to keep electricity rates from rising or ensure wildfire victims who win lawsuits against PG&E get paid. San Francisco-based PG&E is the nation's largest utility based on customers and revenue. It serves more than 16 million people with electric or gas service. It also serves an area with roughly three-quarters of the California land most vulnerable to wildfire, Newsom said, putting the utility in a unique position compared with Southern California Edison and San Diego Gas and Electric, two of California's other largest utilities. PG&E customers could bear some of the cost from the bankruptcy as a charge on their power bills. PG&E customers still have a charge on their monthly bills from the utility's 2001 bankruptcy. The bankruptcy judge will determine what happens to parties owed money by PG&E, but state regulators will still decide what rates customers are charged. WILL THE POWER GO OUT? 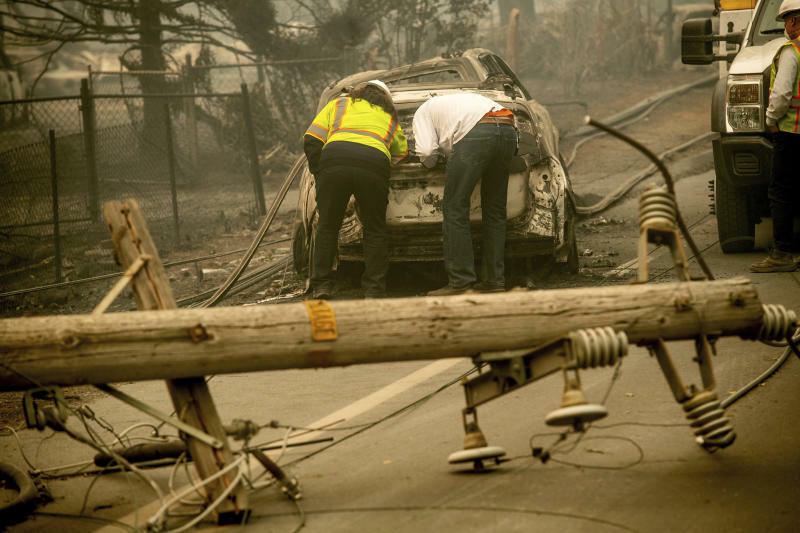 Newsom stressed Monday that the situation is not the same as PG&E's bankruptcy in 2001, when the state faced an energy crisis that led to rolling blackouts. "We are not in a position where we're worried about the lights turning out," he said. The earlier bankruptcy stemmed from rising electricity costs during a shortage caused by the state's attempts at deregulating the power industry. Now, the company is filing for bankruptcy because of crushing wildfire liability costs. California officials have determined PG&E's equipment caused multiple 2017 fires. State investigators have not yet determined what caused a blaze that swept through Santa Rosa in 2017 or the fire that destroyed the town of Paradise and killed at least 86 people last November. But PG&E already faces lawsuits because it reported equipment issues around the time and place where last year's fire sparked. 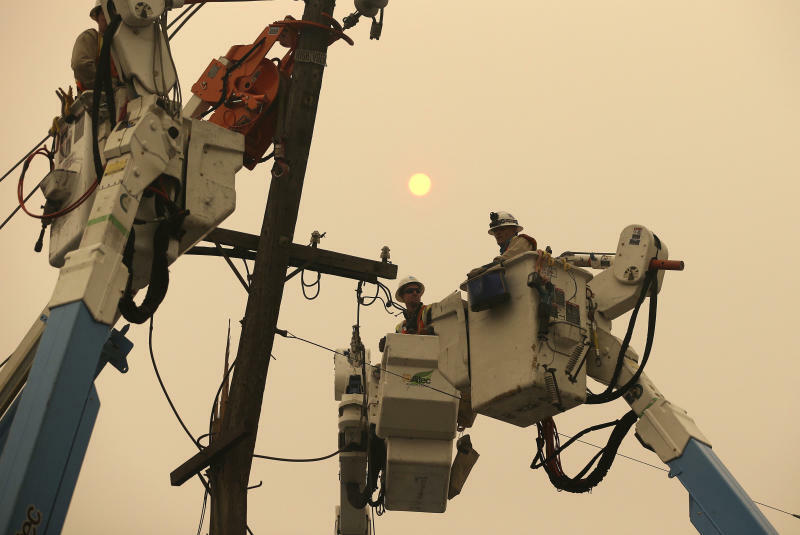 PG&E is on the hook for major wildfire costs because California law makes utilities entirely liable for fires sparked by their equipment, even if the company didn't act negligently. They tried to prevent a PG&E bankruptcy last year by approving a law allowing the utility to pass on some costs of the 2017 wildfires to ratepayers. It didn't include a similar provision for 2018, which was a deadlier and more destructive wildfire season. State Sen. Bill Dodd, a Napa Democrat who wrote the law, said lawmakers didn't want to give PG&E incentives to stop focusing on safety. But now lawmakers are forced to confront a bankruptcy. State Sen. Jerry Hill, a PG&E critic, said it might be a good thing because PG&E as it exists does not have a record of safety.